FuelRod kiosk allows the passengers of the airport to charge their electronic devices in case of urgency. The kiosks are located at the Terminal building at the gate for passengers' convenience. With just a swipe of the credit card the particular device will drop off from the machine, that will allow charging the device for additional 4-8 hours of usage. Wi-Fi is offered on the whole terminal of the airport. 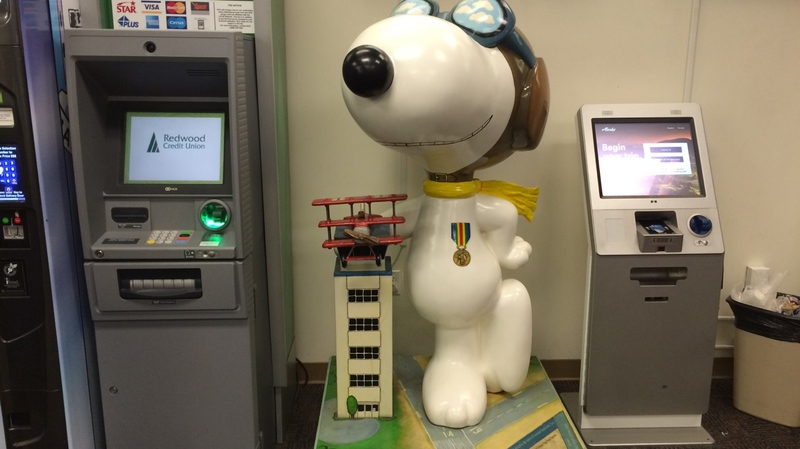 ATMs of the Redwood Credit Union are available at the check-in area. Baggage carts that assist passengers while transporting their baggage actor the terminal are available at the check-in area. Visitor Assistance Booth is the place where the visitors of the city may find friendly locals that are ready to provide new guidance through the airport and advice some places to stay and visit. Pet Relief Area allows passengers to relieve their pets before and after the flight. Lost and Found offices will help the passengers to find the baggage lost in some particular part of the airport. If the one lost the baggage/ baggage item in the Airport terminal, there is a phone number the one may call to get the assistance and help: (707) 565-7243. If the one lost the keys in the Parking lot, there is a phone number the one may call to get the assistance and help: (707) 523-2186. If the one lost something in the Sky Lounge Steakhouse and Sushi Bar, there is a phone number the one may call to get the assistance and help: (707) 542-9400.